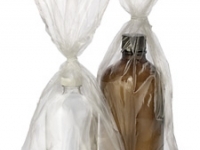 From 15ml to 4Lt capacity, our containers (clear or amber) are cleaned and packaged within a class 100/10 environment. All containers are assembeled to contain <5 particles per millileter >0.5 microns. Assembeld with low shredding polypropylene caps and PTFE liners as well as being supplied clean room bagged. 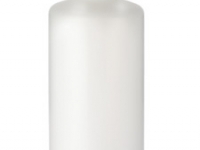 Narrow mouthed 125ml, 250ml an 1Lt conatiners are supplied double bagged as well as being lot tested and certified to contain <20 particles per milliliter 0.3 microns. A Certificate of Analysis is included. From 125ml to 1000ml capacity, our Class 100/10 cleaned containers are tested and certified to contian < 20 ppm 0.3 microns. Optional Certificates of Analysis available for Aluminium, Copper, Lead, Zinc, Calcium, Iron, Potassium and Sodium analysis at <1 ppb.